Why would I need self storage in Centennial, CO? There are a variety of reasons why you might need self-storage in Centennial, CO.
How much is a storage unit in Centennial, CO? The cheapest storage unit in Centennial, CO is $26.00 per month. What size storage units do you have available in Centennial, CO? In Centennial, CO we have sizes that range from 5'x4' to 10'x40' to suit your storage needs. How much is it for a 5'x4' storage unit in Centennial, CO? The cheapest 5'x4' storage unit in Centennial, CO is $46.00 per month. Centennial is located in the southern portion of the Denver metropolitan area, about 11 miles from Aurora and 12 miles from Denver. The city has repeatedly earned the title of the safest city in Colorado, also ranking as one of the safest places to live in the nation. With award-winning schools, easy access to a variety of amenities, a healthy economy and plenty of recreational opportunities, Centennial is a growing community that has plenty to offer. If you're planning to look for a job in Centennial, you have a range of options to choose from. The city's largest employers span a number of different industries, from financial services and government defense to education and health care. A few of the largest job providers in Centennial include OppenheimerFunds, Comcast, United Launch Alliance, US Foods and Jones International University. 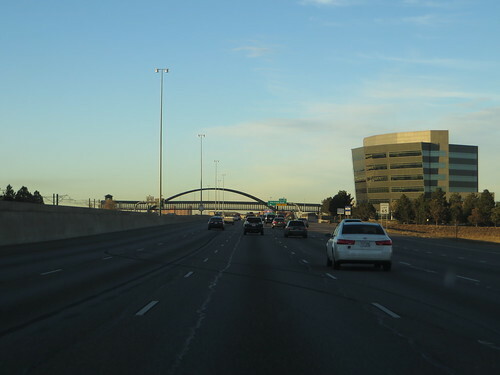 Because of its convenient location, Centennial also makes it possible to commute to nearby cities for work. The large cities of Denver and Boulder are both less than a 15-mile drive and have a large range of job options. Although Centennial is not as large as Denver or Boulder, it still has plenty of recreation and entertainment to offer. Cherry Creek Park is a large park surrounding an 880-acre reservoir, with lots of scenic space for camping, picnicking and family events. Centennial Center Park is one of the most well-known parks in the area, hosting a number of concerts and events in addition to providing many play spaces for children. The city also hosts a number of community events throughout the year, many of them free to attend. During the summer months, the area comes to life with concerts in the park, barbecue festivals, stargazing events and movie nights. Unique events like the local Chalk Art Festival provide the opportunity to experience arts and culture right in your own neighborhood and to get to know the other locals in Centennial. Most public schools in Centennial are managed by Cherry Creek Public Schools, with Littleton Public Schools presiding over a few schools in the city's western sector. There are a few private schools in the city as well, mostly faith-based campuses like Highlands Baptist Academy and Centennial Christian Academy. Utilities: Xcel Energy and the Intermountain Rural Electric Association (IREA) are the area's energy providers. Several different water districts split the Centennial area, and your specific provider will be determined by your location. Garbage and Recycling: You have your choice of several different waste disposal companies for collection of your trash and recyclables. The city recommends checking with your neighborhood association or neighbors to find out which company services the majority of people in your area, in order to minimize the number of garbage trucks on neighborhood streets. Transportation: Centennial is connected to Denver via a network of light rail and bus routes, making it easy to commute into the city 365 days a year. The cost of housing in Centennial is fairly even with the Denver area, mainly because it's such a popular commuter city. However, there are plenty of properties to choose from, ranging from large single-family homes to compact apartments, making it easier to find something that works for you. Our lowest priced units in Centennial, CO average $39.67 per month. 292 people have reserved units in Centennial, CO in the past 30 days. There are 6 locations within Centennial, CO's city limits. There are 4 locations in Centennial, CO that offer AC and Heating features.